Thanks to Sergio Almagro ('Lucky') and Pedro Martínez ('Luke'), from Murcia (E), for further news of their bluegrass duo Lucky & Luke (also on Facebook here). 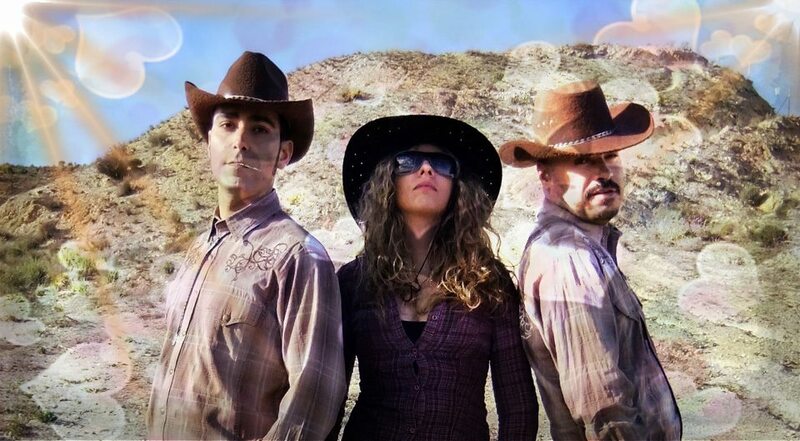 On 17 January the EBB published a link to their eight-minute dramatic video on YouTube, 'El Sheriff', with Lucky & Luke playing 'Guitar polka' and 'East Tennessee blues' as background to the action. They now appear in a new video, playing Elvis tunes and accompanied by their new helper, Cowgirl Yuyi ('La vaquera'). The video explains how they met her. 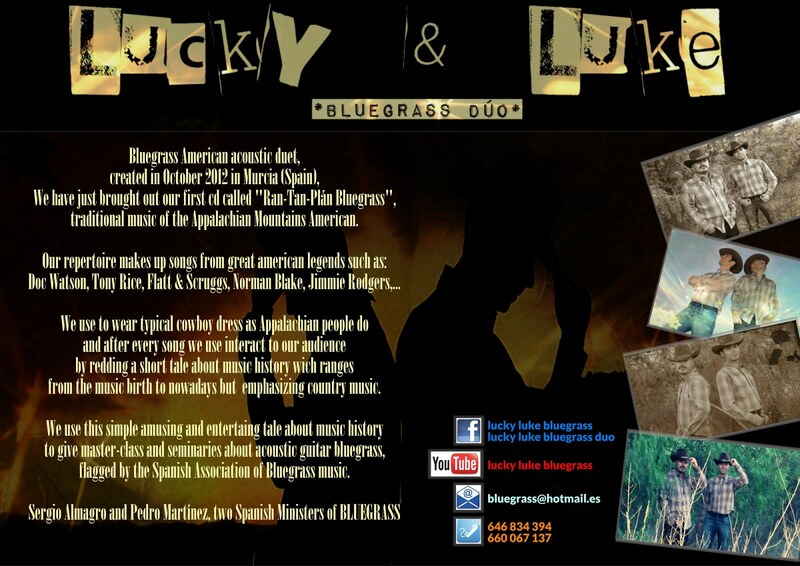 Lucky & Luke belong to the Spanish Association of Bluegrass and are available for festival bookings in Europe. A playlist of their music can be heard on the GoEar website. Their e-mail contact address is here.